In the canonical tale, Big Chuck D’s visit to the Galapagos was a “Eureka!” moment, where he instantly worked out his theory of evolution by natural selection after observing the different species of finches on the archipelago’s varying islands. Almost nothing about this tale is true. 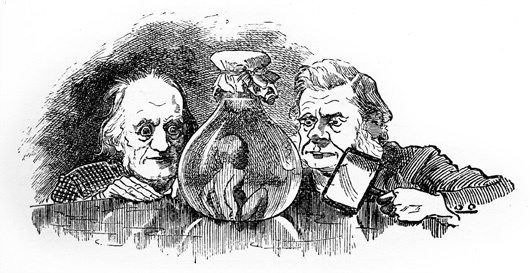 Darwin’s collecting in the Galapagos was haphazard and unlabelled; he had to retrospectively fill in the blanks on his specimens when he got back to England with the help of shipmates. The idea of natural selection did not appear fully formed in Charlie’s brain but percolated there over many years at Down House, coupled with his continual tinkering and experimenting. The idea of different forms inhabiting different islands was something discussed on the Galapagos during his visit. But it was the giant tortoises that were the subject. 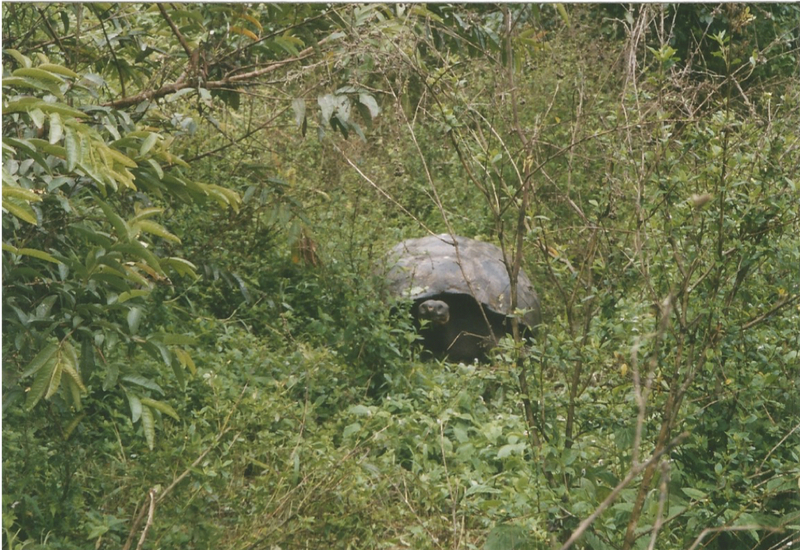 The species of Chelonoidis nigra found in the Galapagos and Aldabrachelys gigantea of the Seychelles and Aldabra are the only surviving giant tortoises (and we very nearly lost them too). Go back a few hundred years and there were various, now extinct, species of giant tortoise on Madagascar and the Mascarenes. Back in the Pleistocene we had something even more wonderful (quelle surprise!) in the mellifluous meiolaniids. These giants were the convergent herptile version of the glyptodonts and ankylosaurs that had independently hit upon a similar niche. Wild Santa Cruz tortoise Chelonoidis nigra porteri. Image author’s own. Observing megafauna at Charles Darwin Research Centre, Santa Cruz, Galapagos. Image author’s own. 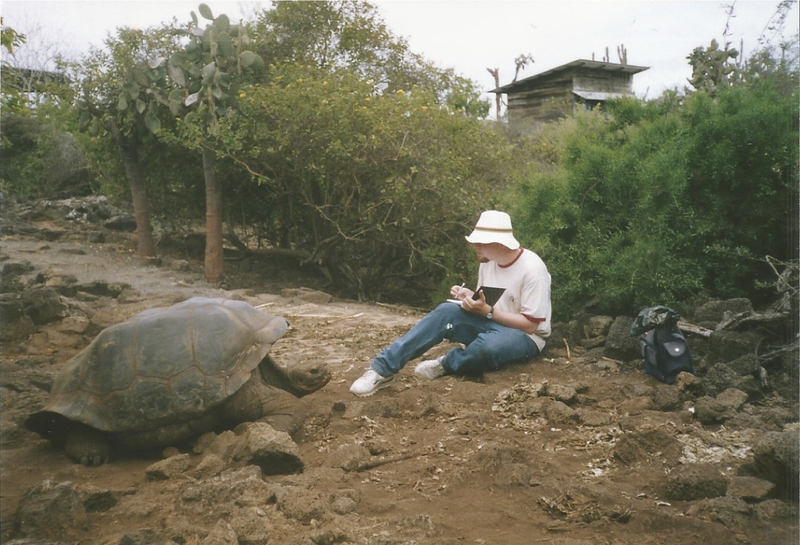 When I visited the Galapagos I had the intense pleasure of hanging out at the Charles Darwin research centre and chilling with some of the rescued giant tortoises that reside there. It really was special just being able to sit and watch a giant wild creature, naïve to the special threat that humans usually pose, and happy to go about its feeding without fear. Even if it had wanted to attack me, the worst it could probably inflict was a serious gash from its keratinous beak. The meiolaniids, on the other hand, basically scream out from every apomorphy “back off, man”. Shell? Spikes. Skull? Oh my god, so many spikes. Tail? You bet there were spikes. The Meiolanidae are known from the southern continents that made up Gondwanaland, particularly South America and Australia. Two of the best known species from Oz are Meiolania oweni (now Ninjemys oweni, more on this later) found in Queensland, and Meiolania platyceps, known from Lord Howe Island. 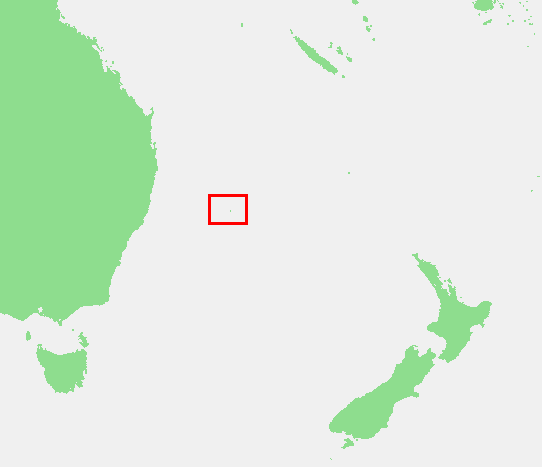 Lord Howe Island is a pretty tiny chunk of volcano way out in the middle of the south pacific, hinting that this was a very widespread family of hero-turtles. 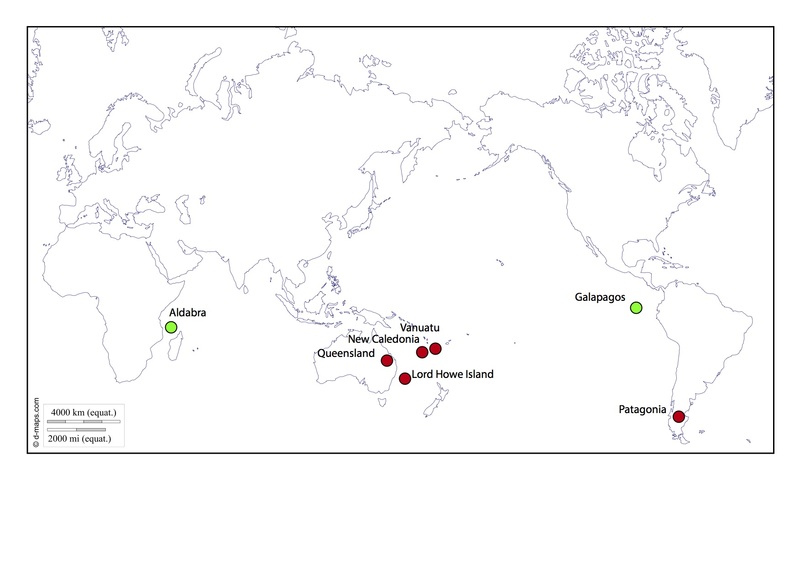 In fact, meiolaniid fossils have been found on New Caledonia, Vanuatu, and other Polynesian islands. The history of their discovery involves some very famous Victorian naturalists. Richard Owen first erroneously identified a mixed assemblage of bones from Australia that included Meiolania, as Megalania prisca the giant monitor lizard. “Darwin’s Bulldog” T. H. Huxley then set him right in an appropriately sassy publication with the putdown “What Megalania prisca may be I do not pretend to say” <sips tea>. In South America, Florentino Ameghino, Francisco Moreno and Santiago Roth (who were involved with excavation of Mylodon cave in Patagonia) described Patagonian Meiolania material (now known as Niolamia argentina). 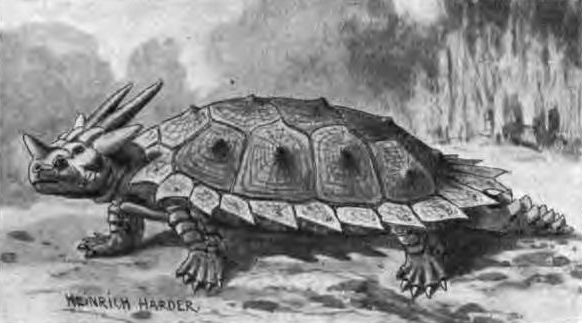 Moreno even published descriptions of Meiolania/Niolamia in a paper with a description of the famous Mylodon darwinii skin from Ultima Esperanza. Niolamia as a taxonomic entity seems to result from the perils of a 19th century science that relied on postal communication and deciphering cursive. 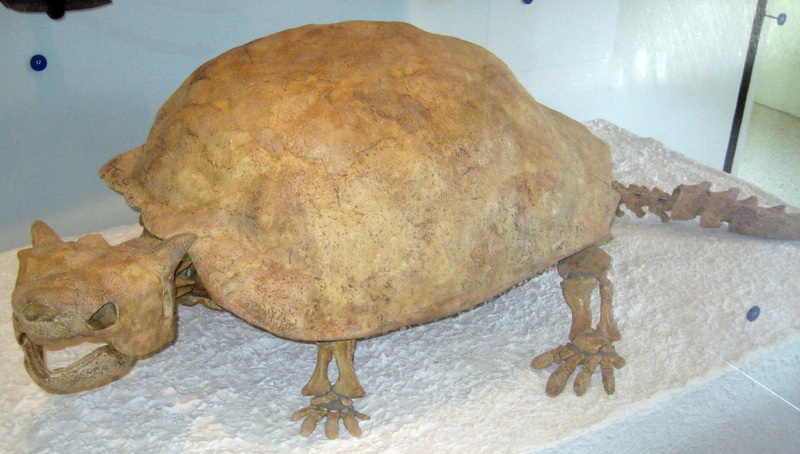 In terms of when this living wartortle actually roamed, the fossils give us the answer. The specimens from mainland Australia are Pleistocene in age and coeval with Diprotodon, Thylacoleo, Megalania, and the other marsupial megafauna. The Lord Howe island material is certainly Pleistocene and possibly even Holocene in age. Material from New Caledonia has been found in layers dated to just 1,720±70 years, but could have been redeposited. However, the most interesting dating comes from Vanuatu. Here dozens of bones of ?Meiolania damelipi found in the lowest midden layers of a Lapita cemetery were only 2890-2760 years old. This corresponds exactly with the first evidence for people on these islands. Like the ground sloths, woolly mammoths and other vanished taxa, it seems incontrovertible that humans first wiped out the continental populations before finding their isolated island outposts and slaughtering them there too. If only Michelangelo, Donatello, Raphael, and Leonardo could have taught the meiolaniids some self-defense! But wait. I referred earlier to the taxonomic reshuffling that turned Meiolania oweni into Ninjemys oweni and didn’t explain why. Prolific meiolaniid author Eugene Gaffney has devoted a lifetime to studying these awesome creatures and in his expert opinion the Pleistocene Australian material is generically distinct from the later Lord Howe material. He needed to erect a new genus name and I leave his most bodacious explanation for the etymology of Ninjemys below. 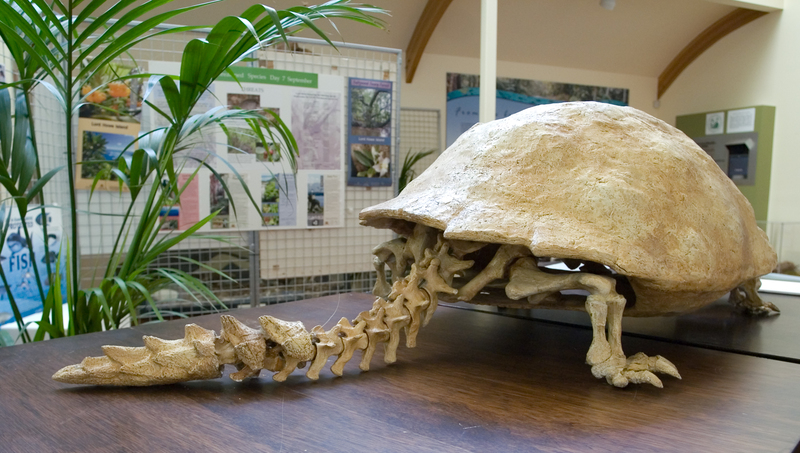 This entry was posted in Meiolania and tagged Aldabra, Aldabrachelys, Australia, Chelonoidis, Extinction, Florentino Ameghino, Glyptodon, Lord Howe Island, Megalania, Meiolania, Mylodon Cave, New Caledonia, Ninjemys, Niolamia, Overkill, Patagonia, Richard Owen, Thomas Henry Huxley, Ultima Esperanza, Vanuatu. Bookmark the permalink. Great article Ross! Love the comment.